The elite enclave of Malibu, California appears to have been the target of a ring-wing prank. Official-looking signs were set up at the city limits on Tuesday, boasting about the town's new status as an 'OFFICIAL SANCTUARY CITY'. But drivers who looked closer saw that not all was as it seemed. Both signs had taglines criticizing the picture-perfect veneer of the wealth Los Angeles suburb. No one has taken credit for the signs so far. 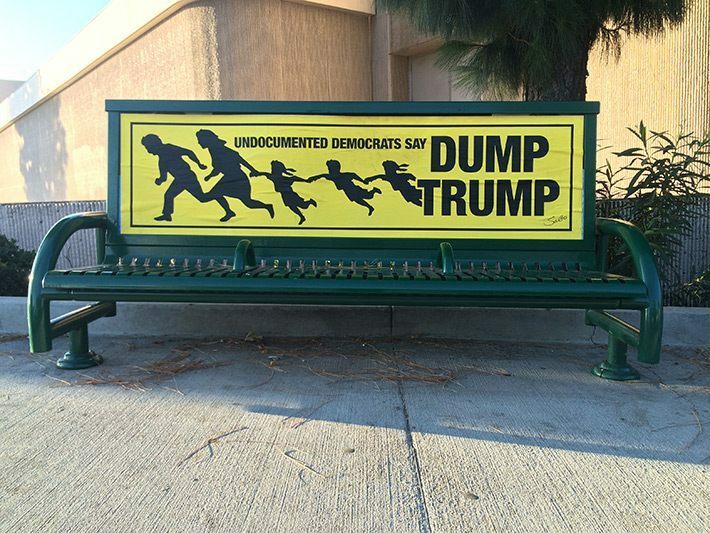 But street artist Sabo said that they were put up by some friends who work in Hollywood and didn't want to be blacklisted from the liberal industry. The signs appeared to be a criticism of Malibu's decision last month to become a sanctuary city. At least the signs just come right out and say it. They should keep doing these signs. "sorry your child was assaulted but i got a great quote on my landscaping!" Last edited by Yac; 04-07-2017 at 03:11 AM..
Lol! Love it. I wish the "Boyle Heights not so much" was bigger. Too much sand and sea water has rotted these people's brains. Love that artist and especially what he did with Amy Schumer advertising when he put the 5 stars on the posters but only colored one star so it shows her movie and show su.Ks. As funny as the signs are, it's really sad. Agreed, that shows Malibu liking its "slaves". Now that's funny. I'd sure like to see that poster. Is there anywhere on the net I could find it? Amy Schumer one star bench! He's got pro Trump art all over LA.....funny, funny stuff too.